Ed Soph is one of the most respected educators in the world. He was inducted into the Percussive Arts Society Hall of Fame in 2016. 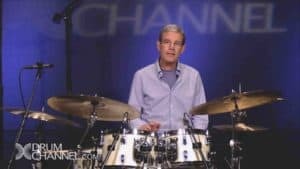 His teaching influenced a 30-year span of students at University of North Texas, including Ari Hoenig, Keith Carlock, Joel Rosenblatt, Jason Sutter, Dave Weckl, and Stockton Helbing. He pursued a teaching career while working on the faculty at the Jamey Aebersold Jazz Workshop, the National Stage Band Camp and the University of Bridgeport. Soph has worked with Clark Terry, Bill Watrous, Bill Evans, Marvin Stamm, Randy Brecker, Joe Henderson, Pat LaBarbera, Bill Mays, Cedar Walton, Dave Liebman, Chris Potter, Carl Fontana, and Slide Hampton.